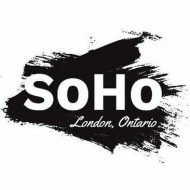 Due to the closure of the Victoria Tavern, we regret to announce that the SoHo Street Market is cancelled for the season. Our market was scheduled to take place at the tavern this summer on Tuesday evenings. We were ready for business and had a great deal of community interest in this project and regret that we must take this step now that our location has been lost. SoHo is located in a food desert. Food deserts are spaces in urban centres where residents experience physical and economic barriers in accessing healthy food. Our market would have assisted our residents in obtaining fresh fruit and vegetables close to home, as well as providing a community hub. We hope to return next year and would welcome any input or assistance for our 2017 season.